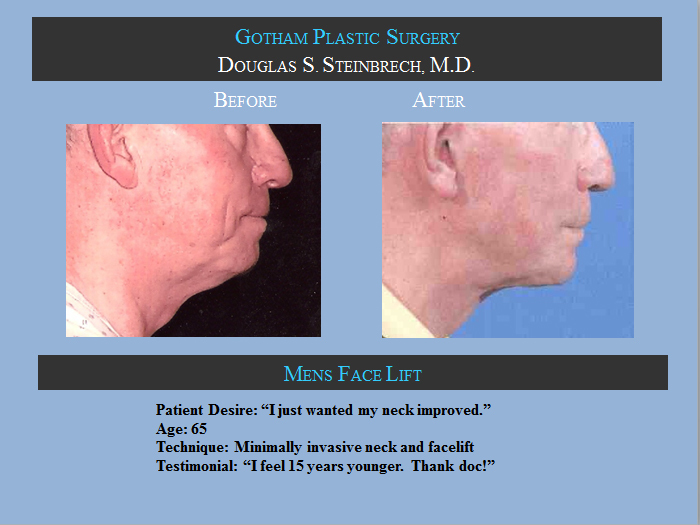 The following facelift and eyelid surgery photos are only a small sample of Dr. Steinbrech’s work for his male patients in New York. During your office consultation, you will have the opportunity to view more comprehensive procedural photo galleries of before and after images of male facelifts and eyelid surgeries performed by Dr. Steinbrech. To view before and after photos of male facelifts, please click on each thumbnail to enlarge to full size. 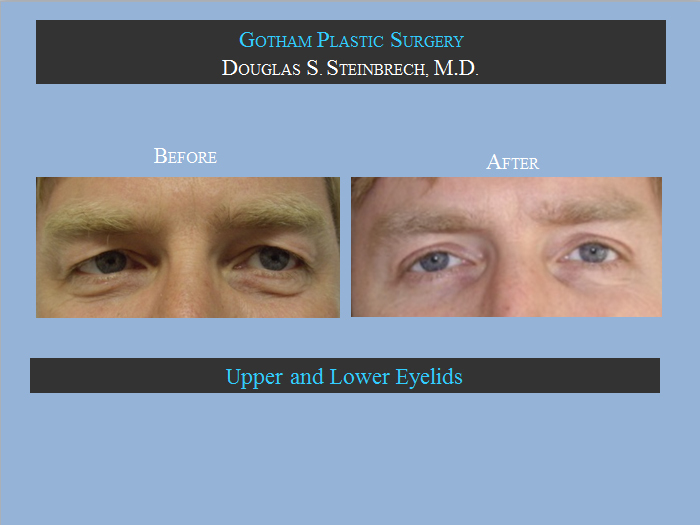 To view before and after photos of male eyelid surgeries, please click the images below.